Polio or poliomyelitis is an infectious disease caused by viruses and it causes a wide range of signs and symptoms. Symptoms of polio can range from flu-like infections to total paralysis within several hours. If you want to know how to prevent polio from spreading, you should spend time reading this interesting article right now. 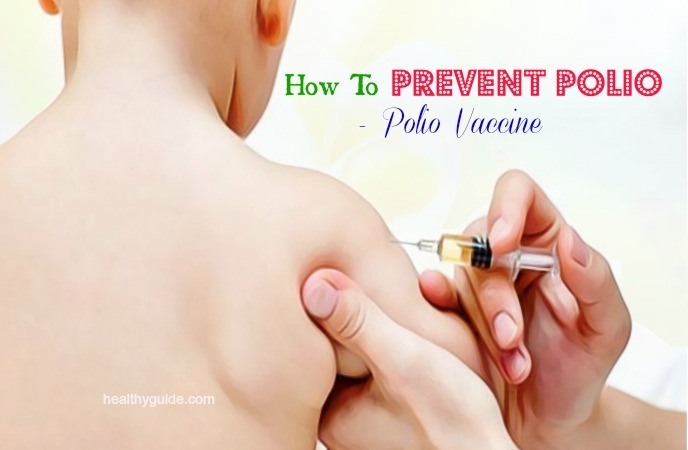 In this article, Healthy Guide will show you some of the best ways that can help you prevent polio from spreading naturally at home. However, before discovering these preventive measures, you should be aware of the causes and symptoms of polio. Polio is caused due to small RNA viruses, which are members of the Picornavirus family. There are 3 types of polio viruses; and type I causes 85% of all paralytic infections. 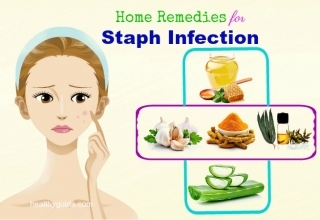 All of these types are distinct strains of infection and viruses. In case immunity is established to one strain or all of these strains, immunity will be lifelong. Currently, the WHO has certified that the Western Pacific, Americas and Europe do not have polio while other areas have a low risk of polio. However, people in countries where vaccinations have been interrupted have higher risks of developing polio. The highest risk factor for getting polio is not vaccinated. Besides, people with immunodeficiency, pregnant females, very young individuals, travellers to polio-endemic areas, people who work with live polioviruses, and caregivers for polio patients are at higher risk for polio. Polio only infects humans and it spreads by close contact. The virus lives in the intestines and the throat and is spread through sneeze, cough or contact with the feces. Also, it can be spread when a person touches or tastes contaminated food or fluids. Unluckily, a person can infect and transmit the poliovirus even before they show any symptoms. Most of the patients with polioviruses show little or no symptoms. So, they may not know that they were infected with polioviruses. According to a study , non-paralytic polio infections experience flu-like symptoms including sore throat, fever, malaise, headache, as well as muscle stiffness. 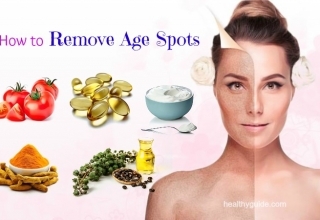 These signs and symptoms last 10-20 days and then completely disappear. In some cases, the paralysis can occur within several hours after the occurrence of infection. The musculature involving with breathing can become inhibited, and these patients need help to breathe. There are some preventive measures for polio that you can apply at the comfort of your own home. Actually, all of these measures are effective in reducing the risk of getting polio. 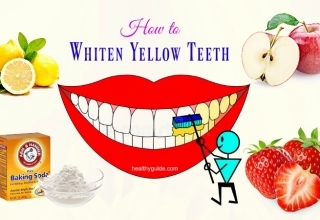 So, you should keep both of your eyes on this article and then try to apply any of these methods as soon as possible, especially if you want to know how to prevent and treat the symptoms of polio. Inactivated polio vaccine (IPV): It does not contain live poliovirus. IPV has been found to help produce immunity to poliovirus and simultaneously protect from paralytic polio. Actually, more than 90% of vaccine recipients provide protective antibodies to all of the poliovirus types after only two doses and about 99% are immune after three doses. Children: The schedule of dose is a dose at 2 months, a dose at 4 months, a dose at 6- 18 months and a booster shot for polio at 4- 6 years. Adults: If adults were vaccinated with polio vaccine since they were children, further vaccination is not required. Adults need to vaccinate with polio vaccine if they are at higher risks of developing polio. They should get 3 doses of IPV. The schedule of dose is the first dose at any time, the second dose 1-2 months later, the third dose 6-12 months later and a booster shot of polio. Oral polio vaccine (OPV): It has live, yet weakened poliovirus. OPV was licensed to use in 1961. And then, it became the polio vaccine of choice. This vaccine for polio is given through mouth. It leads to the development of antibodies to all of the types of poliovirus after vaccinating. It helps protect from paralytic polio by controlling the spreading of poliovirus to the patients’ nervous system and other people. According to a study about polio vaccine recommendations and safety , OPV vaccine is recommended to use in polio-endemic areas. If you want to know how to prevent polio from spreading, you should remember to follow good hand hygiene. You should disinfect your hands after contacting with pathogenic material and patients with polio or their surroundings by using a virucidal hand disinfectant. If you carry out nursing activities, you remember to use gloves. After removing gloves, disinfect your hands by using virucidal disinfectants. Also, you should avoid exposure to aerosols of people with polio at the beginning of their infection. If required, people with polio should put on a surgical face mask. Studies found that when proper amounts of vitamin C are used, it will be able to destroy all of the virus organisms. Vitamin C is known as a natural remedy for polio, and taking high doses of vitamin C can help kill off polio virus in the body. It is recommended to take 20,000- 40,000mg of vitamin C daily to treat polio. However, you should consult a doctor before taking high doses of vitamin C.
You can also consume many vitamin C- rich foods daily. Some great food sources of vitamin C are guava, red pepper, green pepper, black currant, kiwi fruit, orange, strawberries, papaya, kale, broccoli, parsley, Brussels sprouts, pineapple, grapefruit, peas, mango, and cauliflower. 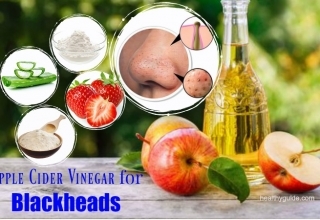 For the best results, you do not throw away any parts of these fruits and vegetables. Instead, make fresh smoothies with them. Alternatively, you can combine leafy veggies with fruits and then blend till smooth. Add raw honey for taste and then drink it right away. Also, you should eat the vegetables raw. 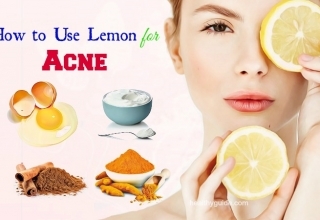 If you have to cook them, slight heat is enough so that the vitamin C will not be destroyed. 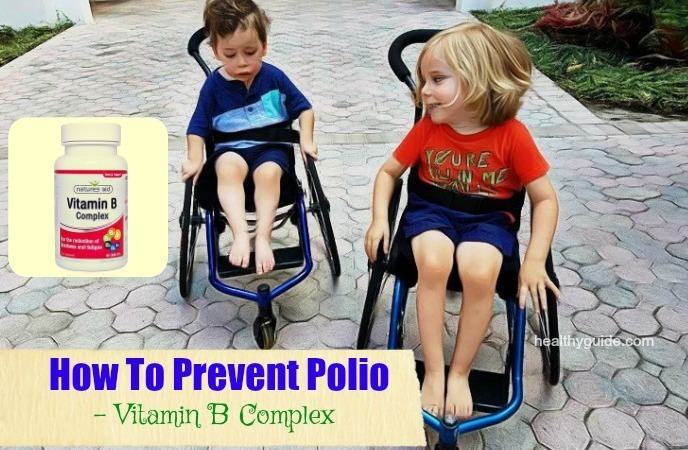 When it comes to learning how to prevent polio naturally, you should consider taking vitamin B complex. The high doses of whole vitamin B complex are another great way on how to prevent polio that you should not look down. Studies found that deficiency of this vitamin can put you at higher risk of contracting polio. Besides, some practitioners give patients with polio vitamin B12 injections and these patients report effectiveness against polio. This vitamin is believed to interact with polio vaccine and can result in a few unwanted side effects, so it is recommended to take this vitamin after consulting a doctor if you have vaccinated with the polio vaccine. Magnesium chloride can prevent paralysis in polio thanks to its positive effect over leucocytic activity as well as phagocytosis. When polio patients are treated with high doses of magnesium chloride, they report to have improvement within a few days and their paralysis is reversed. So, magnesium chloride should start being taken right after you notice the signs of polio. The first symptom of polio may be a sore throat gone along with stiffness of the vertebral column. And, a solution with 20g of magnesium chloride mixed in 1l of water should be taken every six hours. Within two days, the patients with polio will be cured. 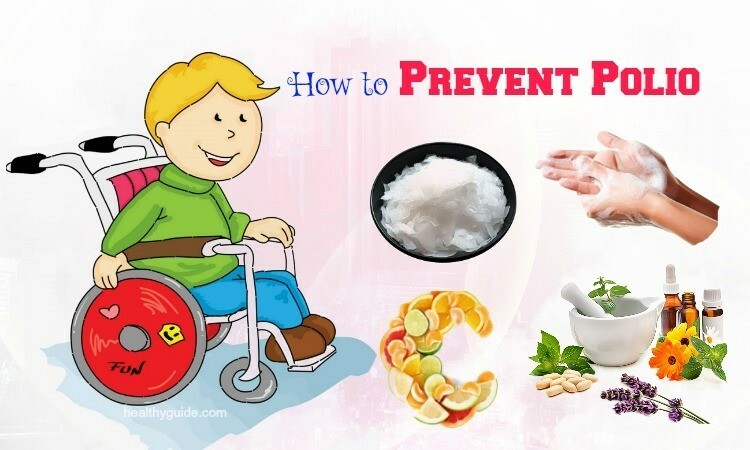 If you want to discover other great ways on how to prevent polio virus, you should continue to read the rest of this article and then try to apply one or more of these natural remedies for good. This sounds strange when it comes to learning how to prevent polio without vaccine that you should not look down, yet try to apply for good. 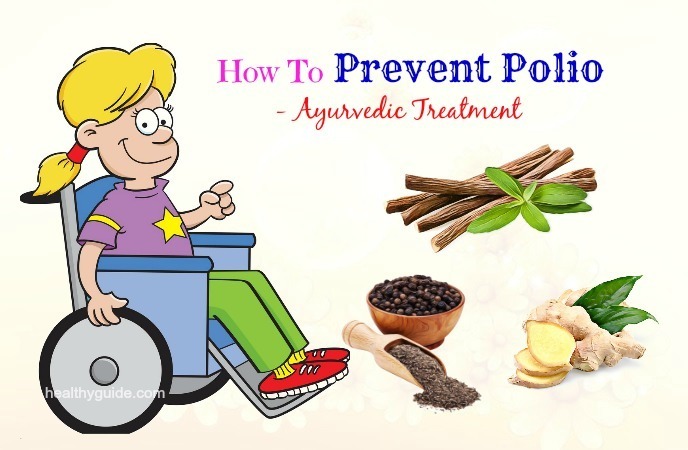 Many patients get rid of polio symptoms thanks to their homeopathic treatment and medicines. If you know an experienced homeopathic doctor, contact him or her for help. Before going for homeopathic treatment, you should keep in mind that homeopathy is not good for everybody. It is only effective for those who want to get well. So, if you want to opt for homeopathy treatment, you have to keep away from smoking, coffee, fast foods, canned food, and tap water. Ayurveda is a traditional healing method of the Indians. This method helps reduce the polo symptoms, speed up the recovery and prevent post-polio syndrome from reoccurring. To be treated positively, there must be a re-balancing within the body. And, re-balancing massages, use of medicated rice and herbs like licorice, fennel, coriander, ginger and black pepper are employed. Actually, this is known as one of the best ways on how to prevent polio from spreading that you should try out! Ginger: According to a study about natural remedies for polio , ginger is a great natural ingredient that helps treat the symptoms of polio. Patients with polio can eat small to large amounts of raw ginger several times daily. 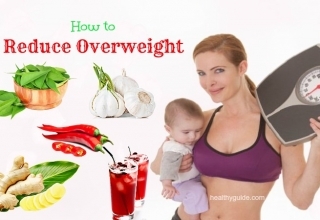 They can add raw ginger to their diet plan. 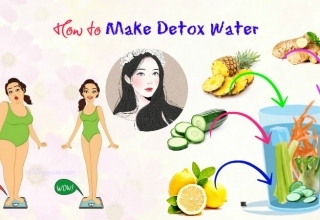 Besides, ginger mixed with lemon herbal tea can be drunk three times daily. Also, they can massage their whole body using ginger essential oil and it can be taken orally as well. 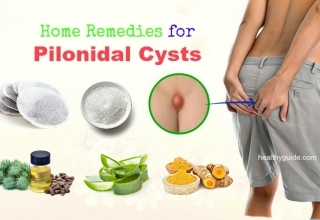 Cat’s claw: This remedy has been found to fight against poliomyelitis if the patients take the extract capsules 2- 3 times daily. Licorice roots: This herbal remedy is powerful for poliomyelitis. Simply, you just need to take the capsules of root extract twice per day. Astragalus: This herb has been found to treat the symptoms of polio. Simply, take the extract capsules twice per day. 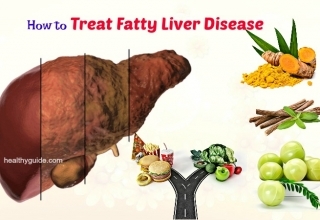 Black pepper, coriander and fennel: they should be included in the patient’s meal. This is another great way on how to prevent polio that we want to mention in this article and want all of my readers to apply for good. 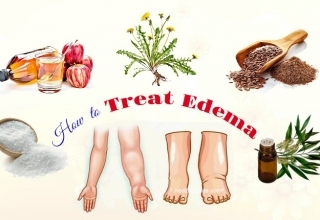 This method makes use of supplements that include minerals, microelements, antioxidants, vitamins, essential fatty acids, amino acids, enzymes, probiotics, and adaptogens  that help in stopping fatigue, arthritis, muscle weakness, insomnia, pain, and depression in polio patients. Improve microcirculation: The brain, muscles and nerves will get more oxygen and nutrients for proper function. Improve the manufacturing of brain neurotransmitters: These special chemicals take part in muscle contraction, nervous conductivity as well as muscle tone. Relieve depression, stress, and control pain. Promote alertness during the day, creating a sound night’s sleep. Stimulate muscle and nerve regeneration. Increase muscle mass and energy, and improve endurance and stamina. Some bio-therapists can provide hypnosis; however, but you can deny it due to the controversies surrounding it as well as the spiritual implications. These therapists can also help polio patients lose weight, quit smoking, stop caffeine addiction and exercise for the best functions of the muscles. As a result, if you or someone around you is having post-polio syndrome, you can seek a bio-therapist for help. After reading this article, we hope that you can know some of the simple preventive measures that can help you prevent polio symptoms from re-occurring. Actually, these measures have been proven to be effective in reducing and treating the symptoms of polio, so you should not look down them, yet try to apply any of these methods for good. Also, if you know other people around you who are at higher risks of getting polio, remember to share this list with them as soon as possible. One more thing, if you know other effective ways on how to prevent polio without vaccine, share them with other readers by leaving your comments in the comment section below.